Let us come before him with thanksgiving and extol him with music and song. I’ll start off this morning with news of a new baby. Raymond and Brandy Cutrer are now the parents of Ramsi Shaye Cutrer who was born yesterday. Ramsi weighed 8 lbs. 4 ox. and was 21 in. long. Both mother and baby are doing well. Pray for Ginger Simmons as she has surgery today to correct some back issues. Macy Lee, the daughter to Tim and Beth Graham Lee, had emergency surgery yesterday to remove her appendix. Pray for a good recovery time. David got a call Saturday night about an infectious disease, Cat Scratch Fever, which does not work well with David’s present condition. The doctor wanted David to check into the hospital Sunday and plan to stay for six weeks to receive a strong antibiotic.. David told him we would be at the clinic Monday for his weekly injection. Yesterday, with the vehicle packed to stay for a long time, we saw the hematologist who checked into the situation. David was sent home after receiving his injection and giving more blood for testing. We will be waiting for test results and praying for a better option than six weeks of hospitalization. Join us in praying for the lab results and good decisions. On a very position note, David’s blood level and weight are holding strong. We returned home with more reasons to be thankful! David will have a procedure on the 28th in Covington to again look for a place where there might be a blood leakage. Please add that date and procedure to your prayers. The next four procrit injections are also scheduled. We are thankful to all the medical people who are working to improve David’s health. I received this report on the Operation Christmas Child Collection at FBC, Kentwood. A total of 1409 shoeboxes were packed in 86 cartons and send on their way to Dallas and eventually to boys and girls in other countries. I’m not sure how many churches and other groups participated, but I will share that information when I have it. Thanks again to those who “stepped-up” when David and I became unavailable to do this special task. You made it a success! To God be the glory! Statistic show that each shoebox impacts seven people. That’s almost 10,000 people! Yeah to everyone who packed a shoebox and helped in any way. Be sure to name some of the many blessings in your life this Thanksgiving season. he will not forget your work and the love you have shown him as you have helped his people and continue to help them. Bro. Darryl and “Miss” Laurie have a grandson! Joseph Wayne Hutto was born at 5:59 PM Wednesday. He weighed 6 lb. 9.5 oz. and was 19 3/4 in. long. Parents are Joe and Ashley Hutto. Joseph is welcomed home by two big sisters. Both mother and baby are doing well. Third Thursday at the Cabin – Hopefully next month! The more you give of yourself, the more you will be blessed! Demi Jane Drago has arrived. She weighed 7 lbs. 6 oz. and was 21 inches long . Shaw Marie Drago is the older sister. Joey and Meghan Sharkey Drago are the blessed parents to these two daughters who are certainly gifts from God. Linda Hornsby-Craddock is hospitalized in Brookhaven with a appendix issue. Doctors are working to clear up infection so surgery can be done. Pray for all to go well during this process. George Bales’ surgery went well. He is home recovering nicely. Steve, age 36, passed away on Sunday, May 13, 2018. He was a proud native of Hillsdale, LA and a resident of Amite, LA, who was passionate about being a Heavy Equipment Operator. Steve was a member of many Jeep Clubs and Cummins Clubs. 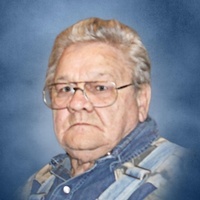 Steve had a passion for anything that ran on diesel; whether it was his four wheel drives or heavy equipment, spending quality time with his wife cooking crawfish or anything outside was where he was often found. He had a love for the outdoors and enjoyed hunting and fishing. Steve’s true love was his family and always put them first in everything he did. He would help anyone in need, always shared his huge heart with anyone around and was never seen without his beautiful smile, he never left without a big hug and always said he loved you before leaving. Steve was an incredible husband and father, loving brother and son, and remarkable person who will be deeply missed. He is survived by his loving wife of 5 ½ years, “My Jenny” McMichael; son, Timothy Alan Humphries McMichael; daughter, Taylor Ann Humphries McMichael; parents, Philip Owens McMichael and Rhonda Harper McMichael; siblings, Rhonda “Michelle” McMichael Honeycutt and husband Jonathan, Matthew “Dewey” Owens McMichael, Aaron Ray McMichael, Joshua Caleb McMichael and wife Haley. He is also survived by his niece, Avery Ann Bellaci; godchild, Alexis Bromell; new puppy, Diesel; and many close friends and extended family. Steve is preceded in death by his grandparents; and best friend and dog, Tank. In lieu of flowers donations may be made to Brandon G. Thompson Funeral Home to assist the family with funeral expenses. Service Times and information are being developed by the family at this time. Please check back soon. You have an open-invitation to join us. Kickoff – June 3rd at 5 P.M.
God has plans for you to be on-mission today! Bobby Simpson was admitted to North Oaks for tests. He’s in room 5414. Please add Bobby, Betty, and the other family members to your prayer list. Bennett Blake Brabhan was born to Jeb and Katie Brabham today. He weighed 9 pounds 8 ounces and measured 22 inches long. I’m sure he will be as precious as his big brother, Elliott. “I am convinced that nothing can ever separate us from his love. The angels won’t, and all the powers of hell itself cannot keep God’s love away. I was asked to add the name of Carolyn Raborn. She broke her leg and is in North Oaks. She will be going to rehab when the proper paperwork is approved. Baby Luke who was born the day following a traffic accident in slowly improving. He’s up to 3.2 pounds. Keep praying for Baby Luke and for his family. Many people in our area are still without electricity following the snow that fell Friday. If you know of someone whose home does not have electricity, do your best to help them in any way. If you can’t help them, find someone who can. I think the roads are clean so everyone can get to church today. If your church is not able to have services due to a lack of heat, I know you will be a welcome guest in another church. We all have a lot to be thankful for today. Come celebrate the birth of the Savior in His house. Many churches will celebrate for several weeks. Please pray for the Dillons. “Miss” Ruby has been admitted to North Oaks with some dehydration and an infection. She’s in room 4102. Mr. “Cete” is with her. I have an update on Kayla J. Evans and her baby girl, Finley. They are both doing well at this point. A resident of Spring Creek passed away on Monday, November 27, 2017 at Lallie Kemp Regional Medical Center in Independence. He was born December 9, 1939 in New Orleans and was 77 years of age. He was a U. S. Army Veteran and a member of Spring Creek Baptist. He is survived by wife, Marilyn Kelting Crawford; daughter, Becky Crawford; son, Randy Crawford; 2 grandchildren, Chase and Kaysie Crawford; sister, Carol Fairburn, all of Spring Creek. Preceded in death by parents, George and Flora Crawford; sister, Margaret Roberts; 2 brothers-in-law, Fred Roberts and Gerald Fairburn; nephew, Scott Fairburn; father-in-law and mother-in-law, Eugene and Lucille Kelting. Visitation at Spring Creek Baptist Church from 10 a.m. until religious services at 12:00 Noon on Thursday, November 30, 2017. Services conducted by Dr. Danny Smith. In lieu of flowers, donations may be made to Spring Creek Baptist Church Building Fund in memory of Russell. McKneely Funeral Home, Kentwood, in charge of arrangements. For an online guestbook, visit http://www.mckneelys.com. Work is progressing on the Two Rivers Associational Annual Lottie Moon Tea. Let me invite all ladies (3-103 years old) to come to First Baptist Church, Kentwood at 2 P.M. Sunday. In additional to some tea and other treats, you’ll hear a missionary who has returned to the states and witness the musical talents of the children and youth of our local churches. The ladies will be decorating their tables Saturday morning. I know they will be beautiful! If this is your first holiday event, it will put you in a Christ centered focus for the Christmas season. If you miss it, there will be no second chance. I’m looking forward to seeing you Sunday at 2 P.M. We are thankful to have our children and youth help with serving of food, as well as singing. The children of FBC, Kentwood will have missions tonight and work in a little last-minute practice time for the tea. We begin in the sanctuary at 6 P.M. The ladies will have their regular Bible study, of Ezekiel, Friday morning at 10 A.M. The prophesy is interesting. We are comparing those days to the present days and praying for our nation and world to turn back to Jesus. The “shoeboxes” we packed are getting the Christian literature that will introduce them to Jesus added this week and boxes divided up for their final destinations as well as packaging for overseas shipping. The boxes might travel by plane, ship, boat, wagon, bus, car, truck. camel, horse, on even be carried in on the backs of people. All opened boxes will bring joy and an introduction to Jesus! Sunday, we will begin our Week of Prayer for the Lottie Moon Christmas Offering. We received slightly more than our goal for the Georgia Barnett Offering for North American missions. I look forward to exceeding this goal too! We will again have our Missions March as introduced to us by Dr. Tom Higginbothan, a former IMB missionary who served as interim pastor at FBC, Kentwood a few years ago. Sunday is the deadline for bringing in STAMPED Christmas cards for the prisoners at the parish jail. David and I will personally deliver the cards to the jail next week. No number of cards is too large or too small! We’ll pray each one impacts a family with the true Christmas message this holiday season. It’s a great week! Follow Jesus in the Christmas season this year! Merry Christmas! Bettye Fussell will be having surgery at the end of the month. She’s looking forward to getting it done and moving on. Pray for her, her family, and many friends. Hal King has had complications to his heart surgery last week in McComb. Please pray for his improvement. Glenda McKean will be having shoulder surgery at the end of the month. Pray for her as she goes through the steps in preparing for the “big day”. Kristi Womack’s dad passed away. Please be in prayer for the entire family as they face the coming days. Continue to pray for the boys and girls attending the area Vacation Bible Schools this week as well as children and youth at church camps. It is a busy, but wonderful, season in our churches! Enjoy this great time of the church year as so many things are happening for our children, weddings are taking place, new babies are being born, shoeboxes are being packed, etc.